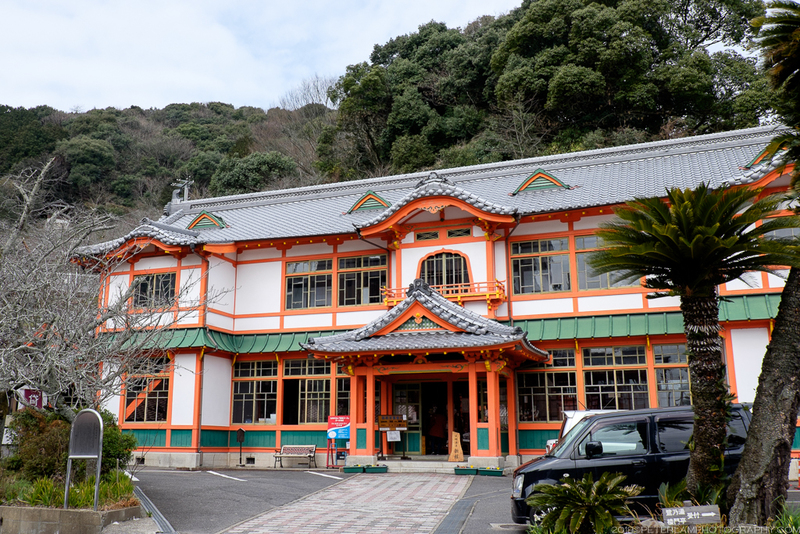 Takeo Onsen (武雄温泉) is a hot spring town in western Saga Prefecture that has a history of over 1300 years as an onsen resort destination. 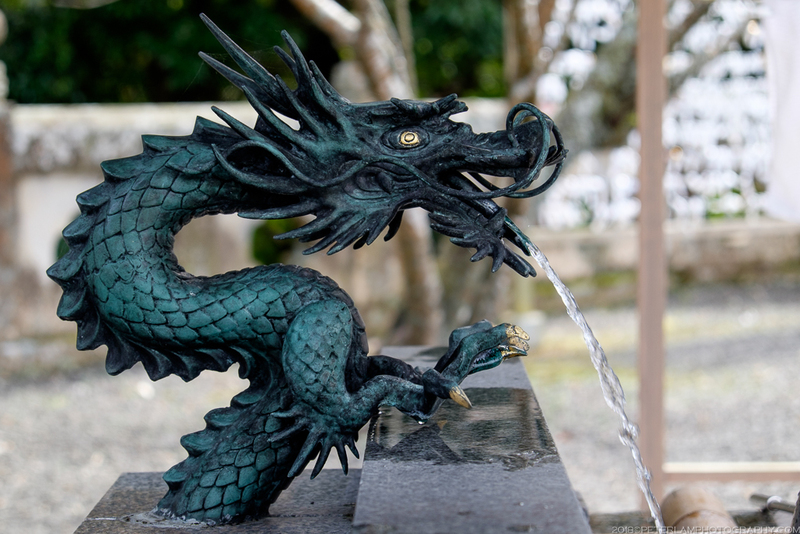 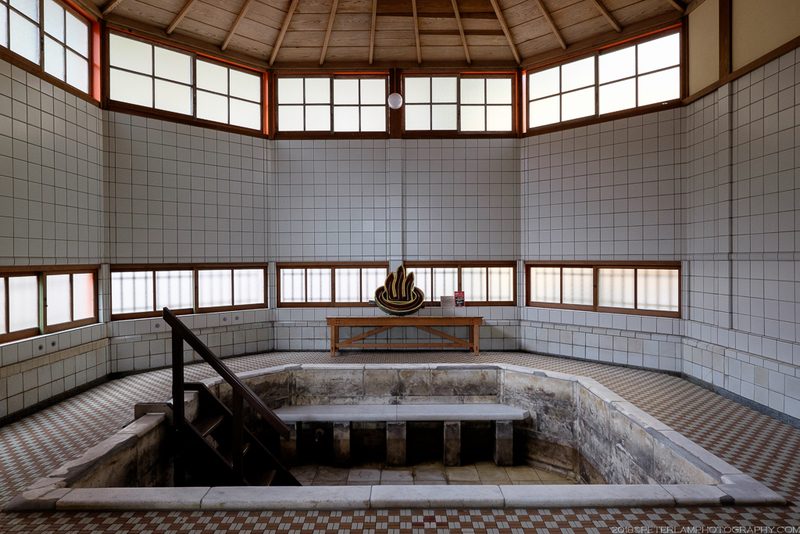 A stop on my recent Kyushu roadtrip, I visited the famous public bath house that has become the symbol of the city. 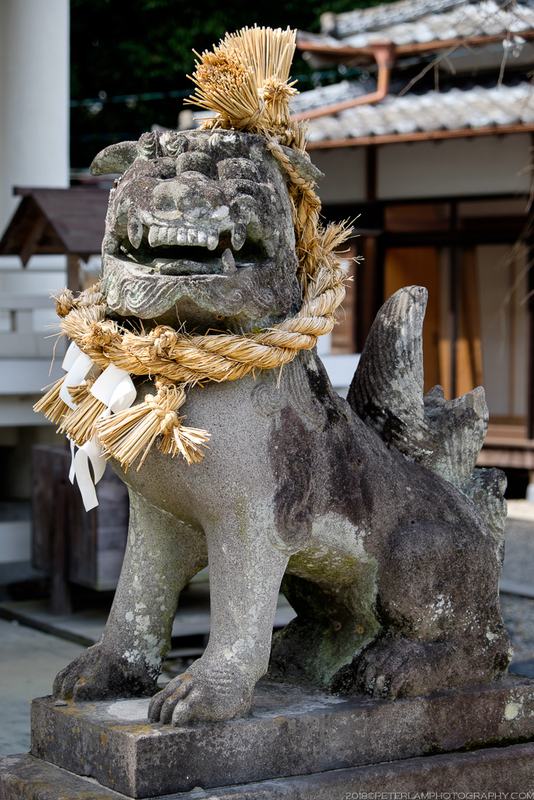 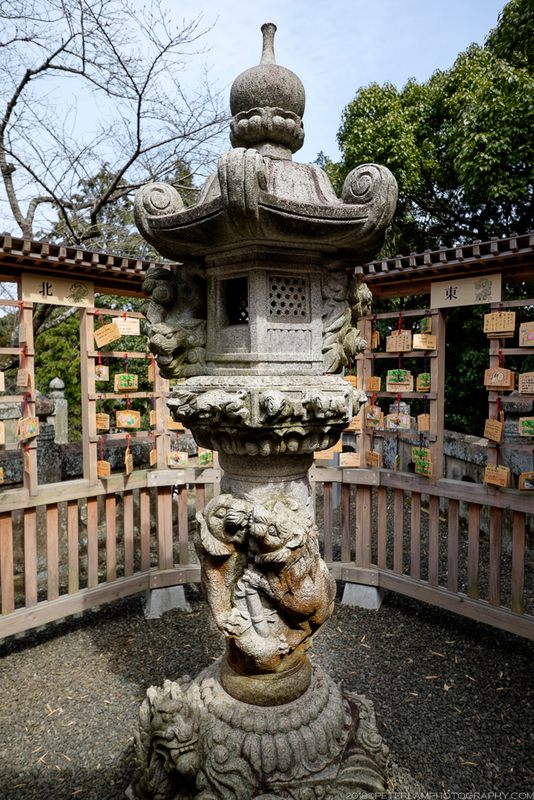 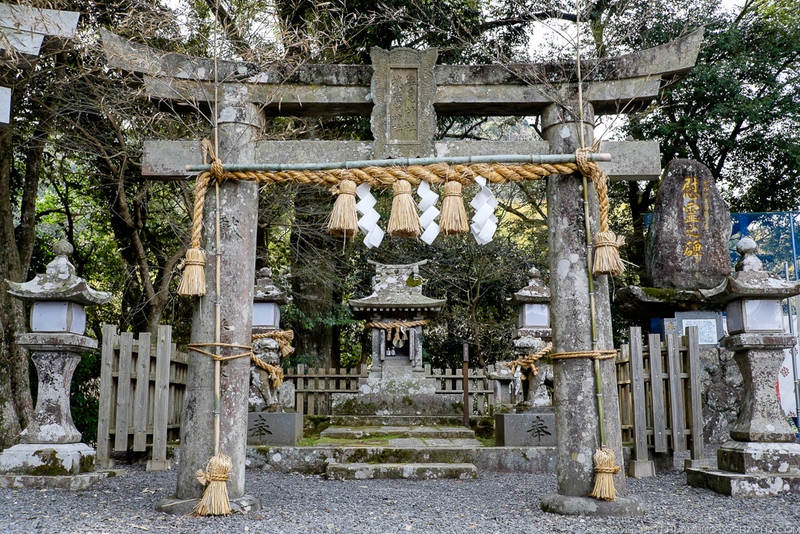 The oldest shrine in Saga, Goshadaimyo Jinja, is also found in Takeo city. 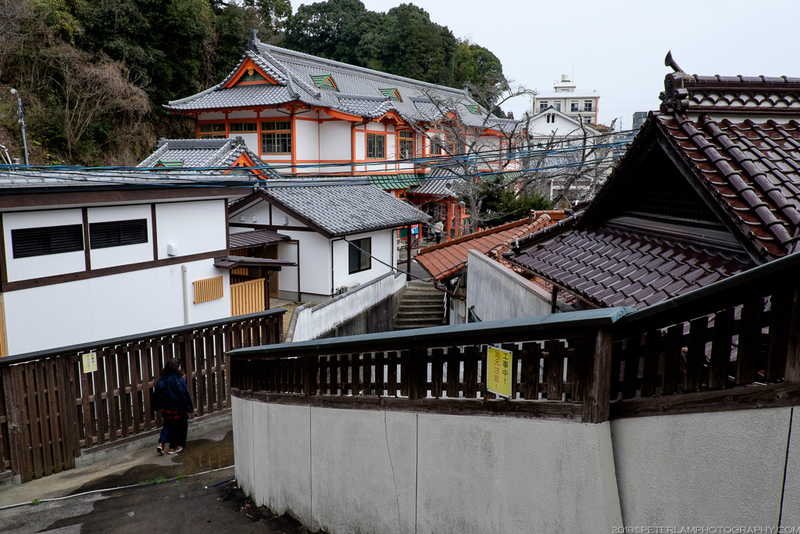 Buildings near Takeo’s iconic two-storied, red-lacquered rōmon tower gate house the public baths that have made this town famous. 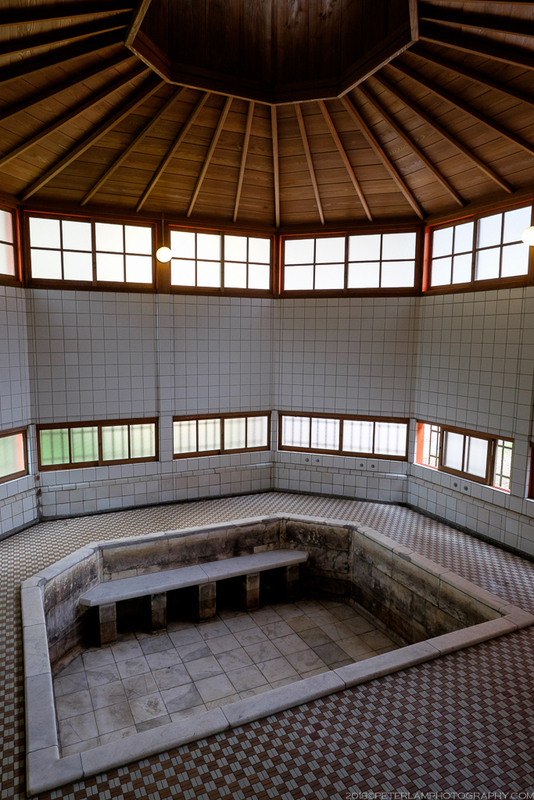 Bathhouses still operate today, and for a small fee you can try the hot springs’ creamy smooth waters in both shared public and private baths. 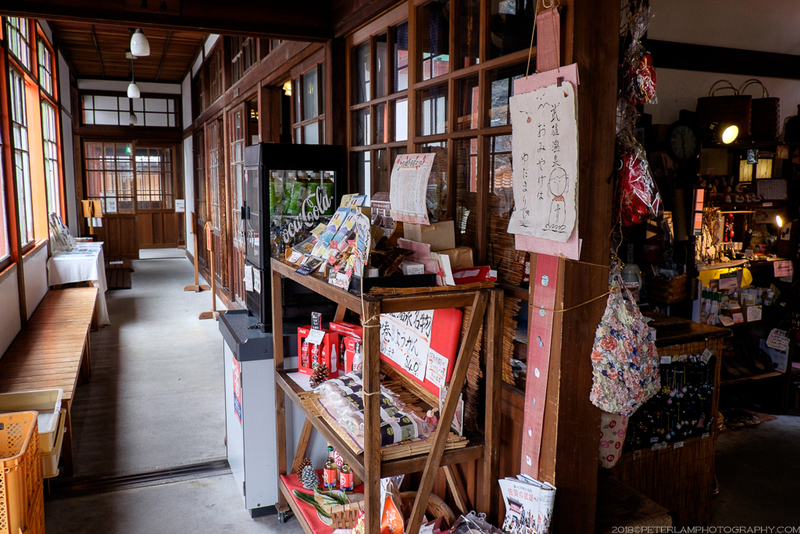 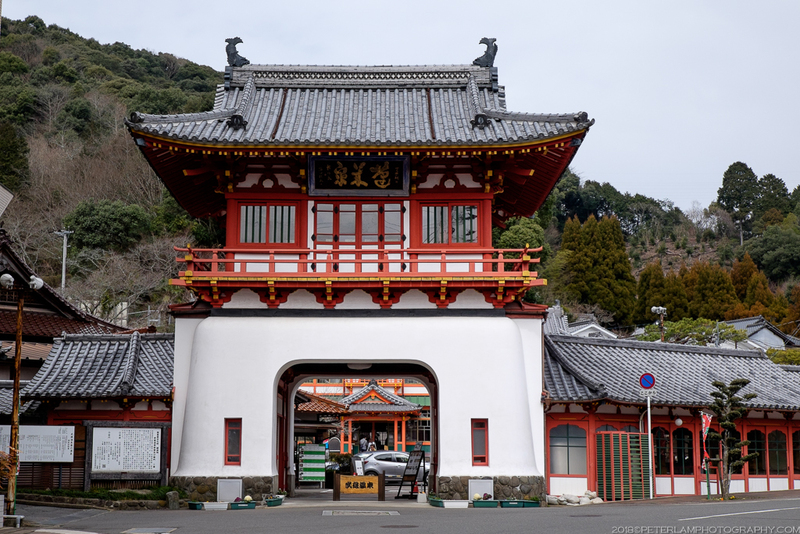 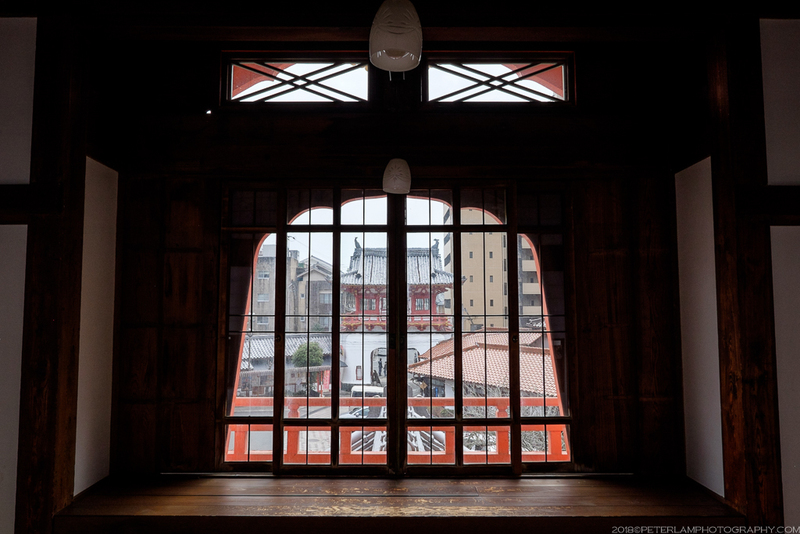 Behind the tower gate, the Takeo Onsen Shinkan was formerly the town’s public bathhouse, but is now a free museum. 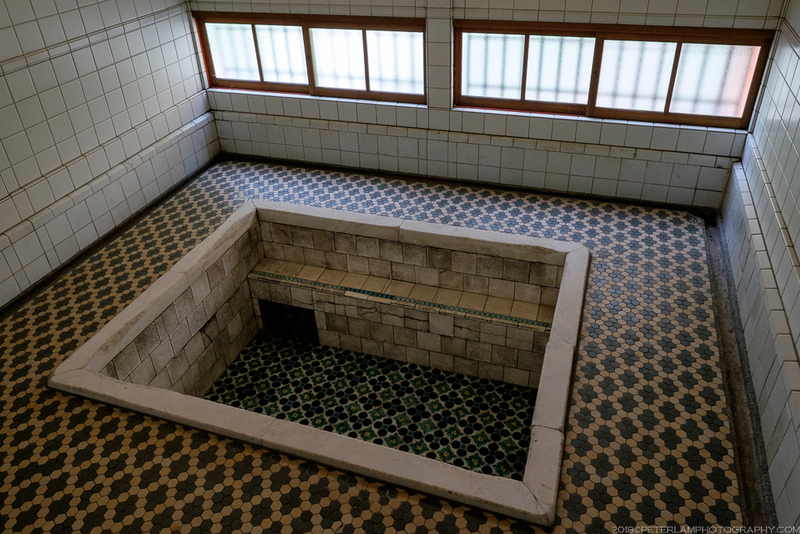 On the ground level the tiled roman-style baths have been preserved, as well as the tatami-covered rest areas on the second floor. 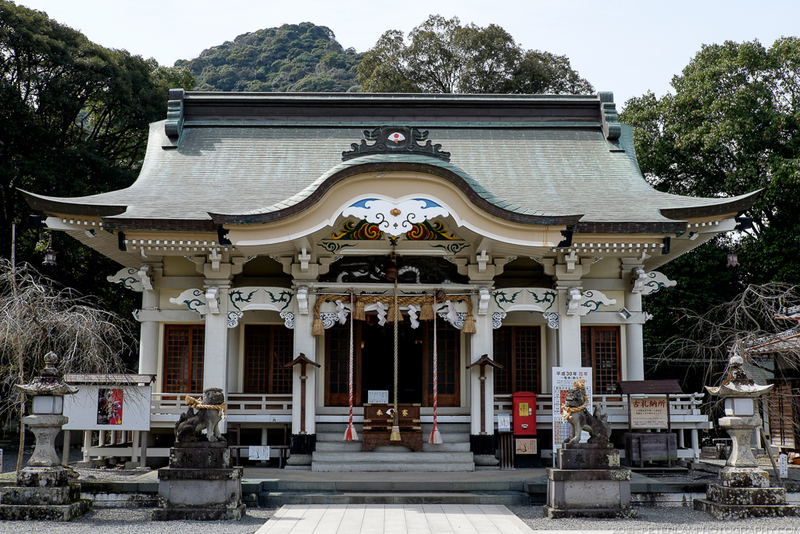 The Goshadaimyo Jinja shrine, also simply known as Takeo Shrine (武雄神社), is the oldest Shinto shrine in Saga. 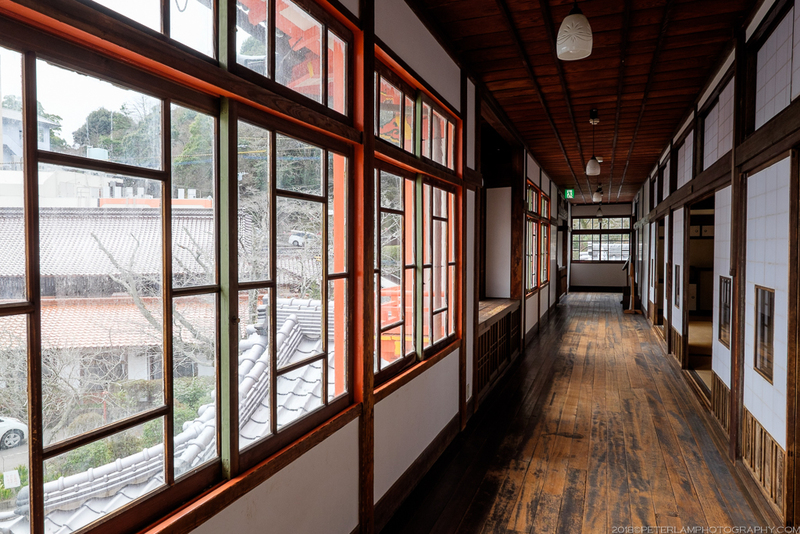 Located at the foot of Mifuneyama mountain, this elegant building is stands out with its unusual white and cream colours. 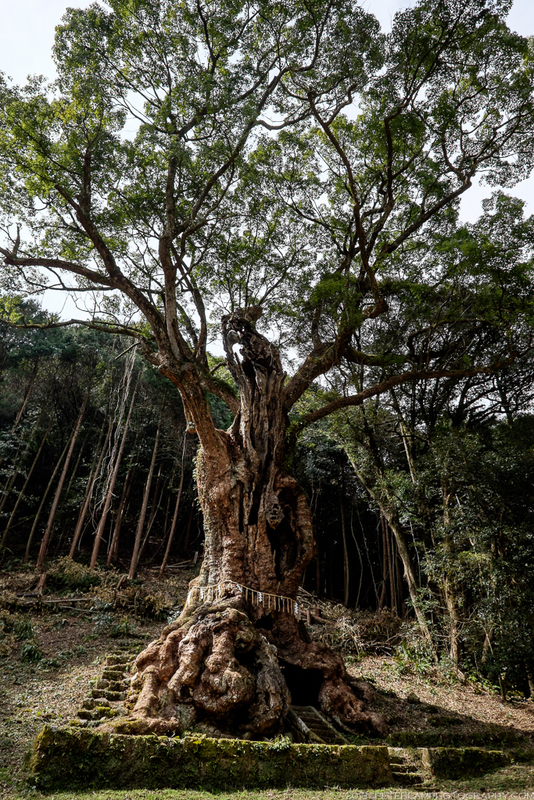 On the grounds behind the shrine, you will also find one of the largest trees in Japan. 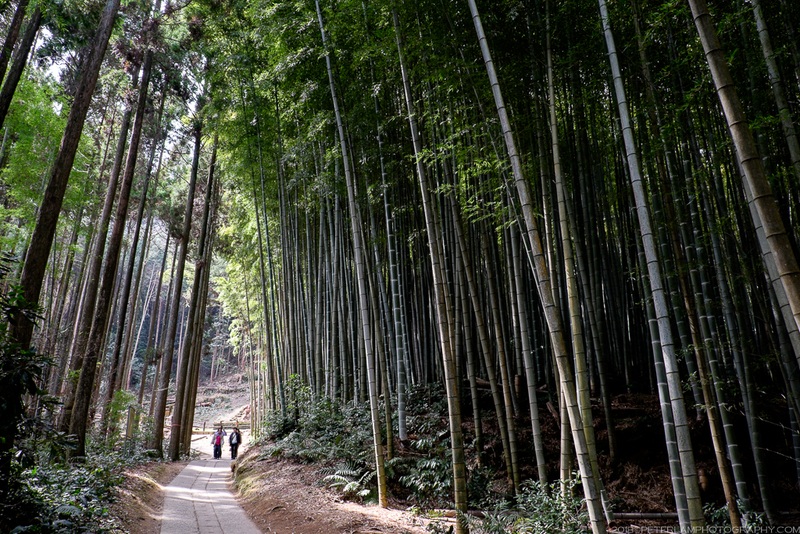 A short walk through a bamboo grove will bring you to Ohkusu, a sacred camphor tree 3,000 years old and a true giant at over 27 meters tall. 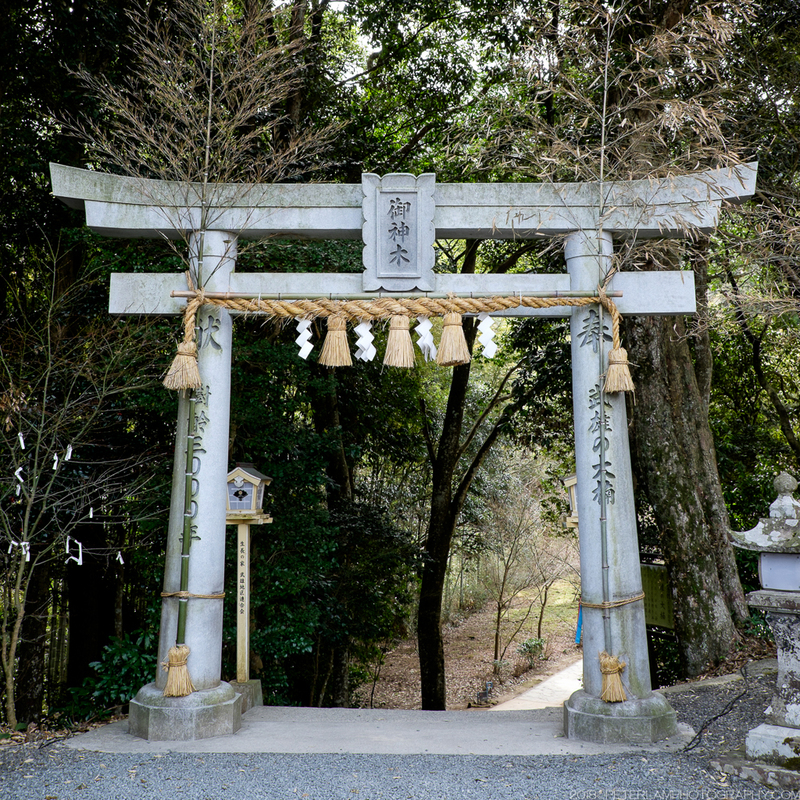 It is widely considered to be one of the most mystical and spiritual places in Saga.